The State of California provides for a comprehensive and compulsory workers’ compensation system. This means that all employers within the State of California must at all times be insured for on the job injuries of their employees. Unfortunately, coverage does not always translate into benefits for an injured workers. Sometimes disputes arise as to whether or not an injury happened at work. Other times there can be a dispute over the nature and extent of a job related accident. 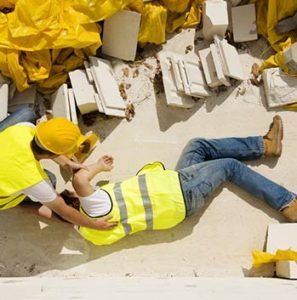 While the underlying accident is admitted as work related, the extent of the injury is questioned extensively by the employer and/or their insurance carrier. Disputes over compensability and nature and extent are common among employers and employees in California. When a dispute arises or is anticipated, employees have the right to seek workers’ compensation lawyer help. Lawyers who practice workers’ compensation focus on helping injured employees through the administrative law process as defined by the Labor Code and California Code of Regulations. Where factual disputes exist, the the lawyer helps by advocating for the employee to the insurance carrier. Where disputes cannot be resolved by settlement and compromise, attorneys seek the assistance of the Workers’ Compensation Appeals Board. The Workers’ Compensation Appeals Board is an special administrative law court set up to adjudicate only disputes surrounding workers’ compensation claims. The Board exists as part of the Department of Workers’ Compensation, or DWC for short, within the Department of Industrial Relations. Administrative law judges are appointed to hear legal and factual disputes between employer/carrier and employee, as well as disputes between employer/carrier and medical providers who provide services to injured workers. When one party disagrees with the way an administrative law judge applies the law to a dispute, an appeal may be filed to the Workers’ Compensation Appeals Board and ultimately to the California Supreme Court. Dispute resolution at the WCAB is fairly complex and that is why most employees who have a disagreement over their workers’ compensation benefits hire an attorney for help. An attorney may assist by advocating for the client, implementing statutory processes, filing legal papers, and representing them at court. While lawyers are often a big help, the dispute resolution process has significant limitations that can lead to unjust results. There is no guarantee of winning more benefits or speeding up the process just because an attorney is brought into the equation. It is therefore imperative to seek a legal consultation with an experienced attorney who can assess whether representation is beneficial to the injured employer. It is never a bad idea to contact a lawyer where you believe your employer has or will wrongfully deny you workers’ compensation benefits. The Napolin Law Firm is hear to help people who have suffered injuries at work in California. Have you been hurt and need help understanding workers' compensation? A lawyer is just a call away. 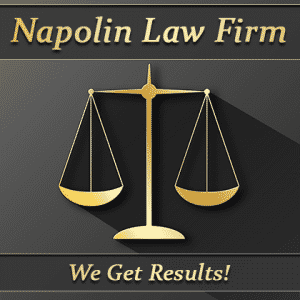 Call The Napolin Law Firm for the help you need.